We all get up in the morning. How to you awaken in the morning? Begin with some reflection about your day, how does it begin? Is it peaceful and slow without an alarm clock? This is the moment, between sleep and awakening when the spiritual world brings us the answers to questions we bring at bedtime. To hear the response, we must be quiet and still to listen. Do you have time to really listen? Do you jolt out of bed? Is your child your alarm clock? How do you like the way you wake up? How does it color you day? Let these questions live within you this week, notice how you rise. Don't try to make answers or big changes, just notice, be gentle with yourself. It is an enormous task to care for children and a doubly enormous one to be solely responsible for the homemaking too. The question of daily living with children comes up frequently over on my discussion group. The question of how to talk to young children comes up too. This is one I wrestled with for many years when I went from working with children over three to working with children under three in the nursery program. Many conversations and questions on this topic still resonate with me from conversations at Sophia's Hearth wondering... what stories to tell? do we use puppets? when to use marionettes? sing? when to talk? when to sing? when to start painting? what about coloring? What about nursery rhymes and finger puppets? what about work? chores? So many questions of how to go through the day with children. So I've decided to do a little series here on some of the basic elements of daily living with children or the Basic Elements of Daily Living with Children. So often I respond in discussion groups and those posts get lost or buried in the archives. This way they can be found or returned to as a reference point if they help you. My monthly and year long program, Celebrate the Rhythm of Life in Caring for Children though the Year penetrates these questions much more deeply and focuses on the practical aspects of being with children as well as the deeper pedagogy grounded in development of the child supporting it. 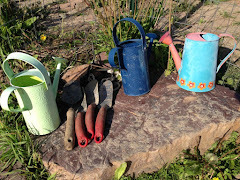 I offer guides, videos, stories, recipes and materials for specific support in implementing nourishing rhythms and activities through the day, the week, the week, the month, the season and the year in living with children, in finding joy and wonder in celebrating in the rhythm of life. In this series on the blog, I will explore some of the basics. My experience comes from spending sixteen years in early childhood with my own children as well as twenty three years of working with families and children of other parents, in the Morning Garden, Kindergarten, After Care and Parent Child groups. I've worked at Waldorf schools with other teachers in a faculty environment and in my own home based nursery program. I've started a playgroup and taught childbirth education classes, a full spectrum of early childhood work that fuels my passion for this endeavor. 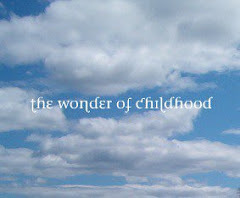 Over the years, in working with the children and carrying these questions, I began to find the answers. The children showed the way along with ongoing exploration of the pedagogy for greater understanding of the development of the human being. That part is ongoing. The subject of rhythm of bringing rhythm to our lives with young children, is one all parents and early childhood teachers and care givers wrestle with, in finding one that will carry everyone through the day with a gentle flow, and tweaking it as it needs tweaking, ever so slightly to serve all through the year. Rhythm is life. We breathe rhythmically, our heart beats rhythmically; we are rhythmic creatures. Until very recently in the history of humankind, we lived with nature’s rhythms, to rise with the sun, work in its warmth and light and turn in with its setting each day. Through the year our ancestors followed the earth’s rhythms with sowing, planting, harvesting and preserving, all done to the beat of the earth’s rhythms. Today we have light switches, heaters and grocery stores that make light, warmth and food possible anytime of the day or the year. We lost our dependence on that connection with the earth for survival. Now we must consciously become aware of the rhythm inherent in the natural world and implement it into our lives with full awareness of the need for that connection. So how do we bring rhythm to our daily lives and particularly to the children? We do it artistically with verse and song to signal transition and to accompany our movement, to carry us along with our work such as chopping or kneading or washing or sweeping as well as playing and tidying up. Remember those Pillars of Waldorf Education? Our daily rhythm includes playing: inside and out of doors, preparing food, tidying, washing, eating, and listening to stories. Carrying these activities of our day in a rhythmic context helps bring a sense of containment to children, a feeling of security that helps them feel free to participate in the activities of daily living. Weekly rhythm brings predictability to the child’s life; the child anticipates “ soup day”, “coloring day,” “bread day” and painting day.” Each week these activities remain on the same day of the week. With the seasons, we implement elements to reflect the rhythm inherent in the natural world, such as colors in painting and drawing and ingredients in the food we prepare, slight changes within the natural rhythms. We have carried these activities into our grade school homeschooling with the new lesson on Monday, a writing exercise from it on Tuesday, a drawing on Wednesday, deepening on Thursday and painting on Friday. We also begin that three day within five day rhythm with a second part to the lesson on Wednesday, writing (and deepening from Monday) on Thursday) and painting on Friday. Our mornings tend to go from 9:00 until noon with lunch around 12:30 and a rest to follow with handwork, French, movement games in the afternoon. Joan Almon recommended a four hour morning for the under sevens to allow plenty of time for the children to engage deeply in free play and to allow plenty of breathing time, a flow through the activities of the morning, transitions and all. It's hard to sketch out one fixed time rhythm to our toddler days, this is the sequence and the times are approximate not exact on the dot. This is our weekday rhythm. On weekends, we tend to go out of whack - rhythm wise. Our Daily Activity is whatever we do each week on that day, our weekly rhythm: soup broth making, soup making, coloring, painting, bread making, decorating the house, nature crafts. Next time, I'll share how that became the foundation for our grade school homeschooling days. My friend Carrie, over on The Parenting Passageway, is blogging about Rhythm in her series on Eight Facets of Healthy Family Culture. Hello, I have 2,5 yo son, he falls asleep at 9 pm and wakes up mostly around 7 am (sometimes 6 am, sometimes 8 am), if he would go to bed at 7 pm, he would be up at 5 am or earlier - thats disaster to me... what is your suggestion? we have no quiet time in the evening with my partner and i miss it, but i can not imagine waking up at 4 am.. lucie. Hi Lucie nor could I imagine having a wee one up at four o'clock. Yikes. Does he nap? Sometimes with earlier bedtimes children will wind up getting more sleep. For example, I have a child who is much older now but used to wake up at 7 no matter what time he went to bed, if it was at nine, eight or seven. What made a difference in his energy and mood for the day were the twelve hours sleep. So I am wondering if you have tried moving it back a tad to see? maybe try fifteen minutes for the first week and if that does not make his waking time earlier, go another 15 minutes earlier the following week and continue until you get to 7 o'clock bedtime and seven o'clock waking. Other factors can influence night time sleep too ~ that's why I ask about the nap, time outdoors in self initiated free play helps as does much movement and no time in containers (like car seats, carriers, strollers) children need lots of movement to get really tired and then they sleep. Hello,I have an almost 5.5 year old son who is very active and full of energy and an almost walking 10 month old son.my 5 year old goes to a Waldorf inspired nursery school.soon he will be to old to go and I am considering homeschooling.my question is how can you follow a rhythm of schooling for my 5 year old and have my 10 month old, giving them both what they need? They are at such different spots developmentally and I don't know how I would be able to teach my older son, occupy my baby, and get the house chores done, all in a day. Suggestions? Thank you!!!! Welcome Mamashara and you're welcome I hope it helps bring some form to your days. For me with wee littles, it's the only way to find breathing time and the more regular I am with it, the more free time I find within the day.